Whether you want to use a trail camera to stake out the best hunting spots or you plan to use it for security purposes, learning to a trail camera is a valuable skill. These little cameras offer opportunities to make hunting expeditions more successful and to keep tabs on what is going on around your property. To make your experience using a new trail camera easier, we want to offer a quick tutorial on how to setup and use these useful devices. Step One: There are several steps to getting the camera setup. First, you should empty everything from the box and be sure that everything that is on the packing slip is included. Once you have established that everything is in the box, you should be sure that the camera’s software is up to date. There will be instructions in the box regarding how to get this done. Step Two: The next step is to charge the batteries and get the SD card installed. If you set up the camera and forget to do one of these steps, then the camera will not be able to properly and fully record all of the information that it can. Once everything it charged, it is also helpful to test out the camera. Check the trigger, flash, and timer to be sure everything works the way you expect it to work. Step Three: Once everything is charged, then you can get out into the wild and figure out where you want to place your camera. It is helpful to look at the ground to see where the most foot traffic occurs. Also think about where food sources are because these areas will see the most traffic, too. Consider how high you plan to place the camera and how you can conceal the camera from animals and human visitors. Step Four: Once you have the location determined, the next step is to mount the camera. 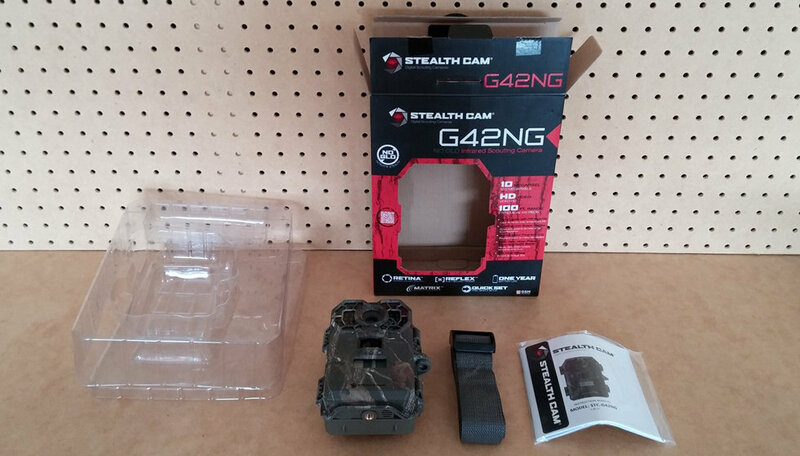 The trail camera you buy might have mounting devices included in the package. If not, the Internet is full of ideas regarding how to build a mount and what mounts are the best for different types of cameras. One of the best tools for mounting any trail camera is a bungee cord, especially if it is in a color that will blend in with the surroundings. Wherever you decide to mount the camera, be sure it has a clear line of sight and that is will not fall. Step Five: It is always a good idea to hide the camera, but no matter what you do, the lens should be uncovered. Many people will use leaves or branches to give their cameras some camouflage in the woods. When you do place the camera, do not point it east or west because it will get too much sun in the mornings and evenings and the pictures will not be easy to read. If you place the camera facing south, be sure it is not pointing up toward the sun. To keep your camera from being stolen or damaged by animals, it is wise to put it in a protective case. Many people will also add their hunting equipment to their homeowners insurance policy – especially if they have a significant amount of money invested in it. Step Six: Once you have everything in place, the next step is to activate the camera. Since trail cameras are motion activated, you simply can step in front of it and do a little dance. Record the time that you stepped in front of the camera and then check out the SD card, or your computer if you have the camera setup to automatically deliver images to an account. If all works well, then you can leave the area – but not before you eliminate your scent. 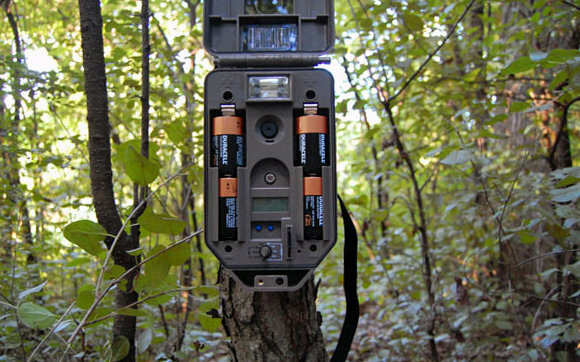 Trail cameras do require some regular maintenance, especially if you plan to keep them for an extended period of time. They are not difficult to care for, but you should be sure to check on them occasionally. Since trail cameras do rely on software, it is a good idea to update it regularly, especially if the camera companies report any bugs. You should keep a log to record when you updated the software. If you have several cameras, you should number the camera and the SD cards and keep a separate log for each one. This way, you will not get them confused. Many camera users will record the GPS locations for each camera, too. Along with recording the updates and locations of the cameras, it is also helpful to use a log book to record the activity at each camera. Recording the animals and times they wander nearby will allow you to see patterns that will make your hunting trips more successful. If you do check on your camera in person, always bring scent remover with you. Many camera owners will wear latex or neoprene gloves when they work on their cameras so they do not leave any trace of their scent behind. Some people will only work on their cameras when it rains because that also reduces the chance that any scent is left behind. To make your camera usage more efficient, it can be helpful to have two SD cards for each camera. This way, when you can take one SD card home to look at the images, you have another one to put in the camera. By swapping two SD cards per camera, you are never losing out on an opportunity to see the action on your property. Using a trail camera can give you a huge opportunity when hunting. Using it effectively is not difficult, but it saves time to learn from others’ experiences. Have fun with your camera and feel free to share your tips and tricks below.